We have another case of a police officer threatening a citizen after falsely telling him that filming a police officer in public is a crime. 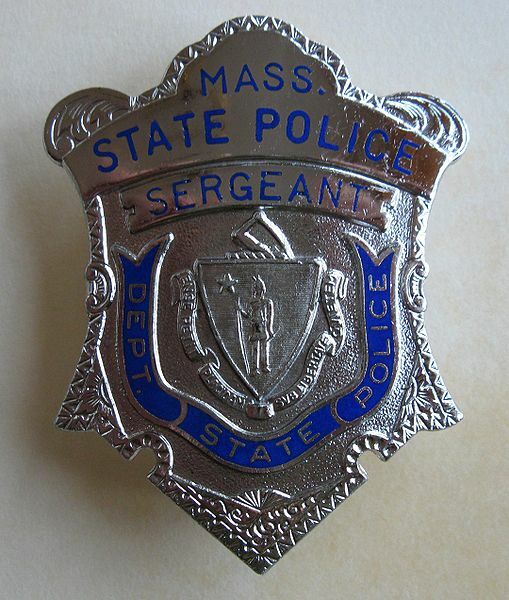 What adds to this particularly case is that Massachusetts state police trooper Kenneth Harold is also now accused of giving false testimony under questioning by driver. We have been following the continuing abuse of citizens who are detained or arrested for filming police in public. (For prior columns, click here and here). Despite consistent rulings upholding the right of citizens to film police in public, these abuses continue. The recording of this encounter shows Harold clearly falsely claiming that filming him is a crime and clearly stating that he would seize the camera if the filming continues. Harold accused the driver of violating “the wiretap law” but, despite the efforts of Massachusetts police and prosecutors, it is legal to film officers. Indeed, the Supreme Court has ruled that the state law deals with surreptitious audio recording. Maya: When you pulled me over, did you threaten to steal any of my property? Harold: No, I did not. Maya: So, you didn’t threaten to take anything of mine? Maya: Did you have a warrant to take my camera? Harold: [dodging the question] I didn’t take your camera. Maya: But you threatened to. Harold: No, I did not threaten to. Maya proceed to post a video accusing the officer of lying. It does appear that the officer misrepresented the law and threatened a citizen who was engaging in a protected activity. It also appears clear that his testimony was not accurate. There is no record however of any disciplinary action being taken in the case. Teh police and prosecutors know that only people who can afford them actually have constitutional rights. How many of us could afford to pay $10K to defend or puruse the criminal acts of a police officer. The police officer can do this one hundred times before a citizen will have the where with all to demand his or her constitutional rights. Anecdotes everywhere. Fact is, the police lie. Judges live by prejudice -“precedent” gives them the day off; puts the case on autopilot. Courtrooms are filthy pits of lies. For the uninitiated, it is shocking to learn that truth is persona non grata in police stations and courtrooms. It is understood that your valid and justified TRO against a police officer will be denied. Next case. Judges support the “brotherhood.” Public trust should be the most sacred. It is the most abused. From the Chief Justice of the SCOTUS to the lowest-ranking reserve officer, the penalties for violating the public trust should be the most severe. Even the hint of a conflict of interest should be grounds for irrevocable removal and criminal prosecution. Police ARE the public trust. The public trust must never be breached. Corrupt politicians treat judges and police as personal allies and reward them as loyal palace guards. The “brotherhood” persists and is invulnerable. The public trust does not exist. In a perfect world, not individuals, not personalities, not desires, but the law and right prevail. I have read entirely too many blogs about this from you. It has gotten to be extremely frustrating that the cops and prosecutors alike get away with illegalities right and left. But it’s a good thing that someone such as you is reporting these illegalities. For perhaps eventually you’re shining a light on these situations will do some good. However is is becoming somewhat scary that we have been living more and more in a police state. Compound these events with violations of the Constitution that Barack Obama’s is getting away with is just damn scary & depressing. Clearly, he should be impeached. I could have sworn at two of his inaugurations he swore on a couple of Bibles that he would protect and defend against any such violations. And MSNBC has become an apologist for him. We are going in a completely wrong direction in this country. And those of us who are aware of this situation and following your blog truly in the public intrest must also feel powerless to stop it. I checked out this site because I am from Massachusetts and heard that there was going to be a story on the news last night (Feb 24) about “Local Police officers, taking it to far.” Something about taking an oath to protect and serve. In Dec 1999 my daughter MacKenzie McCarthy, Perry Pappas a Fitchburg Police Officer & A Military DR who will remain unnamed at this point were together. There was a terrible auto accident. My daughter died from the results of this accident not immediately, 6 months later. We have depositions from witnesses who called the police and were at the scene. Not some random they pulled out of the crowd for a statement. My daughter was underage and Perry Pappas said she was driving. Now it’s 14 years later and people are talking, talking about just how drunk Pappas was that night. My daughter was under the influence of alcohol. Her being 20 him being 44. Theoretically that night if he saw a fist fight breakout he had the power to arrest someone. So then there’s this fine line between taking an Oath to Protect and Serve and doing nothing. Perry Pappas never ever was reprimanded, NO internal affairs investigation. He didn’t even answer the 20 questions submitted to him asking basic questions regarding the accident, that were given to him by the accident reconstruction officer Macnamara. He was protected by all involved an accident this serious and he refused treatment from on call ambulance but drove up to the Hospital in a Police car, used a payphone, acted a fool. Usually everyone has to submit blood. He was driving I have proof. He said she was. Imagine gets away with murder and then 8 years later I have to read about him driving the wrong way on I190 that’s another story. I have to believe what goes around comes around. She was my only child. So, this state trooper was just randomly scanning license plates when there was no evidence of wrong doing by the motorist and, apparently, no alerts for her type of vehicle? @ Dredd, no ticket was not dismissed. The judge found her guilty and fined her.